Complete the poem generator. NOTE: Have students put a period at the end of each entry. 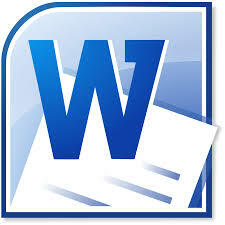 Have students check spelling as this will be created as a poem and then copied and pasted into WORD. * Copy and paste the poem into Microsoft Word. * After copying and pasting the poem into Microsoft Word, students can SELECT ALL of the poem (Control + A or click the little down arrow by SELECT on the far left of the ribbon when on the HOME tab) and change the font color, size, style, etc. * Students can also add a PAGE BORDER to the Autobiographical Poem document. * From the PAGE LAYOUT tab click on PAGE BORDER. * Make sure you apply the PAGE BORDER to the WHOLE DOCUMENT. Try one of the ART borders for fun! NOTE: Check out the Candy Cane and Pumpkin borders. * Have students save the document to the desired location. * Documents can be printed.